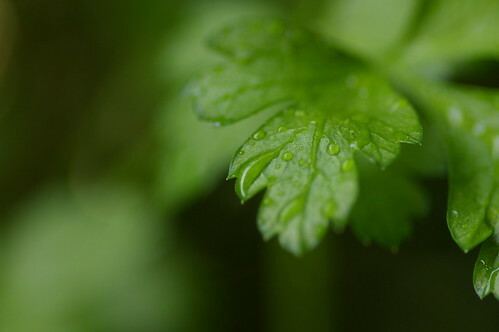 Garden parsley is a bright green, biennial, plant in temperate climates, or an annual herb in subtropical andtropical areas. Where it grows as a biennial, in the first year, it forms a rosette of tripinnate leaves 10–25 cm long with numerous 1–3 cm leaflets, and a taproot used as a food store over the winter. In the second year, it grows a flowering stem to 75 cm tall with sparser leaves and flat-topped 3–10 cm diameter umbelswith numerous 2 mm diameter yellow to yellowish-green flowers. The seeds are ovoid, 2–3mm long, with prominent style remnants at the apex. 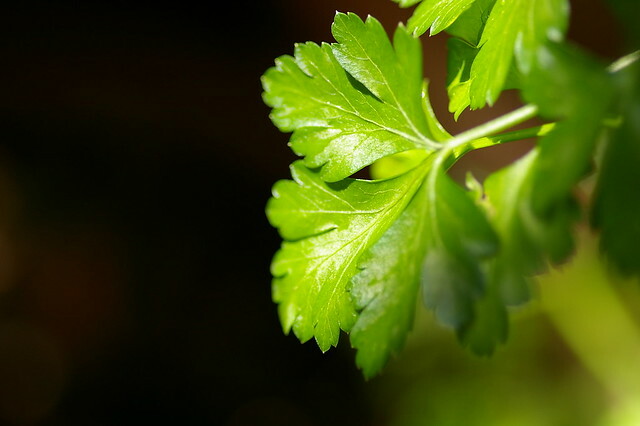 One of the compounds of the essential oil is apiol. The plant normally dies after seed maturation.